DDA offers classes by certified Zumba instructors and is pretty popular, so you know you’re in good hands. Started in a car garage by a 17-year-old dancer, this establishment has quickly grown, and is now one of the most popular spots for super fun sessions. Take a trial class here, if nothing else. We guarantee you’re going to love it. DSC’s founder and director Sameer Sachdeva is a certified salsa and Zumba instructor and has a background in ballet. His classes are always fun and different; Since he incorporates a lot of dance moves with vigorous exercise routines. 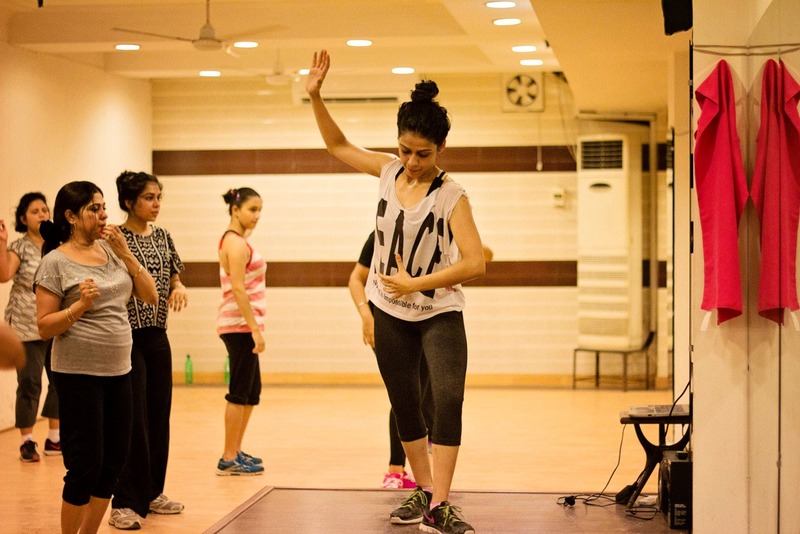 Instructor Pooja Gudwani is as enthusiastic as they come. She’s patient and will take you through routines if they go over your head. Zumba and Zumba Aqua-certified instructor Ravi Rastogi takes high energy, interactive Zumba classes in Saket, Chanakyapuri and Gurgaon. Perhaps one of the most popular instructors in the city, he’s upstaged only by his mean Bachata skills. Their outlet in Chhatarpur has a cycling studio located in the basement, dedicated to spinning classes. It offers the perfect amount of seclusion while working out, and you don’t have to be a member of the gym to sign up for classes. You have to sign up as a member with the gym to be able to take a spinning class, but don’t write them off just yet. Since they’re not part of a giant gym chain, the membership fees won’t burn a hole in your pocket, and they’re willing to work around exactly what you’d like to do. Fluid has a cycle spin studio, and outlets all over Delhi which is pretty great. They have multiple packages and are a little more expensive than others, but we hear they’re worth it. Another big guy in the gym world, Gold’s is strict on membership rules and commitment, but have on deck a winning cycle studio, and a host of other group classes. Another popular (and expensive) health club chain, Ozone has a spin studio fitted with psychedelic lights and an intense sound system, only in their Defence Colony outlet. They customise membership options, based on what you’re looking for. They have every kind of group class on their menu, including Spinning, with A-grade instructors and fantastic classes. Be warned, Fitness First will require you to commit for the long haul (and will stalk till you don’t).